Snap Inc., the parent company of Snapchat, has released an update for their new self-serve ad platform as the company looks to boost their revenue potential ahead of their second quarter earnings announcement next week. Of course, any change they make now is unlikely to shift the needle in these results, but they may give Snap's executives a way to divert attention, to point to future opportunities, if, as many expect, the numbers they end up posting on Thursday don't wow the market. The latest addition for their self-serve platform (which they launched in June), is called 'Advanced Mode', and as noted by TechCrunch, it's essentially their variation of Facebook's Power Editor, providing more ad placement and control options for managing campaigns. 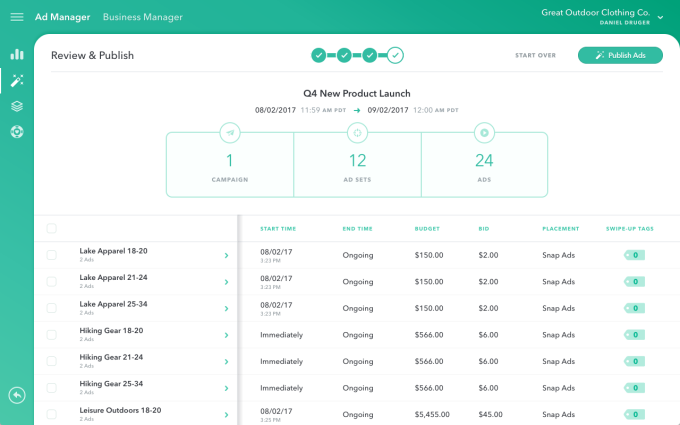 "Since we launched Ad Manager a couple months ago, we've heard from enterprises, brands, and agencies looking for more advanced tools to efficiently scale their efforts. So today, we're excited to announce Advanced Mode for Ad Manager." Automatic Permutation Testing - As explained by Snap: "With a few clicks, you can create hundreds of permutations of custom audiences and ad creative variants". This makes it easier for advertisers to create and test ad targeting, though how it will work for ad creative is a little unclear. Bulk Creation & Management - Advertisers will be able to upload their own audience data spreadsheets in order to quickly create new campaigns, ad sets, and ads at scale. Media Library - Snap has also added a new place to upload videos, images, and other assets to use in your campaigns. Snap's Ad Manager already has a 'Creative Library' of your previously uploaded ad content, this is an extension of that capacity, making it easier to find the elements you need. Power Reporting - In-table pivoting (of all dimensions) and customized exports will provide more control over your analytics. 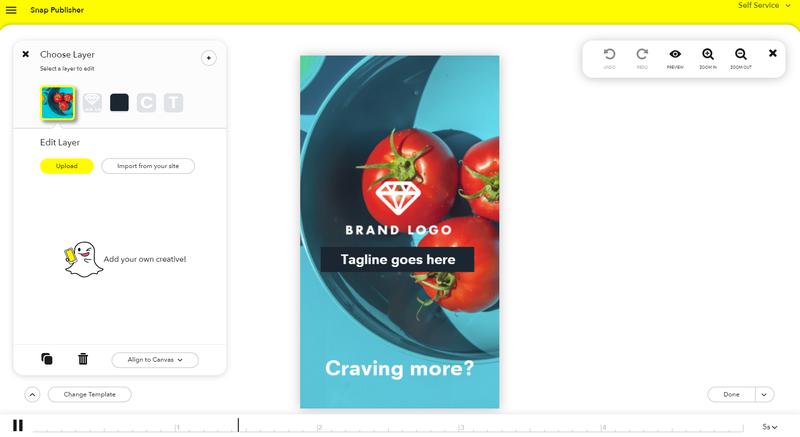 As the title suggests, the tools really are for more advanced advertisers - most smaller operators will be able to stick to the normal self-serve tools within Snap's Ad Manager, which, in combination with their new Snap Publisher tool, enable the creation of basic Snap campaigns. Next week could be a tough one for Snap Inc. The parent company of Snapchat is under increasing pressure, with Facebook duplicating its core features and bringing them to a wider audience, significantly slowing the app's growth. Slower growth is not what the market wants to see in a social network (just ask Twitter), as a smaller audience means less reach for brands, which means less ad dollars, which means less revenue. That narrative can be countered, to some degree, if said app can prove that its audience is more engaged, and therefore more responsive to the ad content they see - thus, they're likely to spend more with the relevant advertisers. But are Snapchat users more engaged? That's the story Snap's executives want to tell, but thus far, Facebook has countered them on this front too. As part of their first ever earnings announcement, released in May, Snap Inc. noted that users now spend more than 30 minutes per day in the app - up from the '25 to 30 minutes' stat it listed in its IPO documentation filed in February. That figure is also listed on the Snapchat Ads website, under the title 'Snapchatters around the world are highly engaged'. Just this week, however, Instagram countered, noting that users under the age of 25 - Snapchat's core market - now spend more than 32 minutes per day on their platform, while those aged 25 and older spend more than 24 minutes a day. It's not a direct comparison, and both platforms are very different, but it does dilute Snapchat's 'higher engagement' claim. 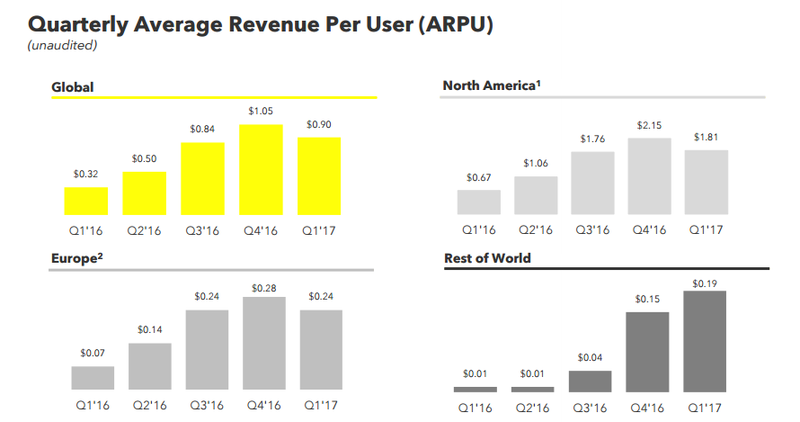 That'll be further stretched if Snapchat can't show an improvement in these stats (below) in their Q2 earnings announcement. If Snap wants to sell the market on greater potential based on engagement, they need the numbers to back it up - it's possible that they can deliver this in their figures to be released this week, but the odds, at this stage, don't seem to be in their favor. Couple the above stats with the fact that Instagram added 100 million more users between December and April - a period in which Snapchat only added 9 million - and you get some idea of the challenge Evan Spiegel and Co. have before them. And while Advanced Mode in their Ad Manager may help boost the app's appeal to bigger advertisers, if they want to keep winning big ad dollars, they'll need to show why they should be using Snapchat over Instagram, which is gaining more and more momentum every day. It's possible Snap can do this, but the challenge before the is significant. Advanced Mode is rolling out now to select advertisers, with a wider release later this month.